The man who nearly bested Andrew Scheer in the last Conservative leadership race is condemning the Liberal approach to multiculturalism, warning "ever more" diversity is leading to the ghettoization of minorities and fostering a culture of dependence. The man who nearly bested Andrew Scheer in the last Conservative leadership race is condemning the Liberal approach to multiculturalism, warning "ever more" diversity is leading to the ghettoization of minorities and fostering a culture of government dependence. 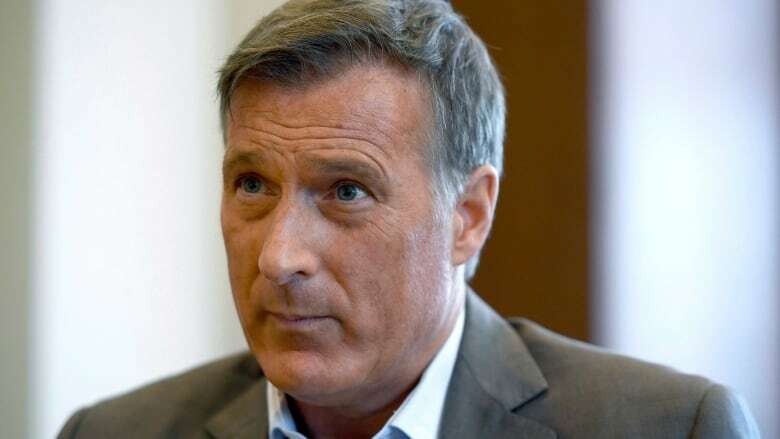 Quebec Conservative MP Maxime Bernier sent a series of tweets Sunday taking aim at Prime Minister Justin Trudeau for what he says is dangerous sloganeering about "diversity" that threatens to undermine Canada's social cohesion. "Trudeau's extreme multiculturalism and cult of diversity will divide us into little tribes that have less and less in common, apart from their dependence on government in Ottawa. These tribes become political clienteles to be bought with taxpayers $ and special privileges," Bernier tweeted. "Having people live among us who reject basic Western values such as freedom, equality, tolerance and openness doesn't make us strong. People who refuse to integrate into our society and want to live apart in their ghetto don't make our society strong." Some social media commentators condemned the sentiment of his tweets as racist and xenophobic. A spokesperson for Scheer told CBC News that Conservatives celebrate the contributions of all Canadians regardless of their racial or ethnic origins — and issued a statement that did not address Bernier's criticism of "more diversity" specifically. "Canada has been built by people from all over the world coming here to enjoy the freedom, prosperity and equality that our country offers. Conservatives will continue to recognize and celebrate the contributions made to Canada from people from diverse backgrounds that have enriched our history and our society," said Brock Harrison, Scheer's director of communications. Harrison said Bernier is still a member of the Conservative caucus. In a followup tweet sent Monday, Bernier said he was not criticizing diversity per se but rather "more diversity" in Canada. "Canada has always been a diverse country and this is part of who we are. I love this Canada. But there is a difference between recognizing diversity and pushing for ever more of it. Something infinitely diverse has no core identity and ceases to exist," he tweeted. Some of Trudeau's comments on diversity have been a lightning rod for criticism from some on the right wing of Canadian politics. Notably, in an interview with the New York Times Magazine in 2015, Trudeau said Canada has "no core identity" and "no mainstream" adding he sees Canada as the "first post-national state." His critics pounced, branding these comments as political correctness gone awry. Trudeau has long been a vocal promoter of Canada's cultural diversity as a source of strength, something that differentiates the country from other Western nations that have grappled with anti-immigrant political movements. "Canadians understand that diversity is our strength. We know that Canada has succeeded — culturally, politically, economically — because of our diversity, not in spite of it," Trudeau said shortly after his election in 2015, a message that he has frequently repeated. It is not the first time Bernier has taken to Twitter to voice his opposition to the Liberal approach to diversity. He sparred with Liberal Ontario MP Celine Caesar-Chavannes, who is black, for thinking "the world revolves around your skin colour" as opposed to pushing policies that help all Canadians. Conservative Ontario MP Erin O'Toole, another caucus member who vied for the party's leadership last year, took issue with Bernier's approach to diversity saying the Conservative Party has a strong tradition of tackling racial and ethnic barriers. The Multiculturalism Act was passed in 1988 by the government of former PC prime minister Brian Mulroney and the party had the first Chinese, Greek, Ukrainian and Japanese MPs. "Today our country faces challenges, but to suggest the challenges are because of "diversity" — either too much or too little — is simplistic & shows a disconnect with our past and present," O'Toole tweeted. "Canada is a successful country because we respect diversity and have had, by and large, a rules-based system that treats individuals fairly, regardless of their personal backgrounds. Conservatives have always understood this and will continue to fight to protect it." 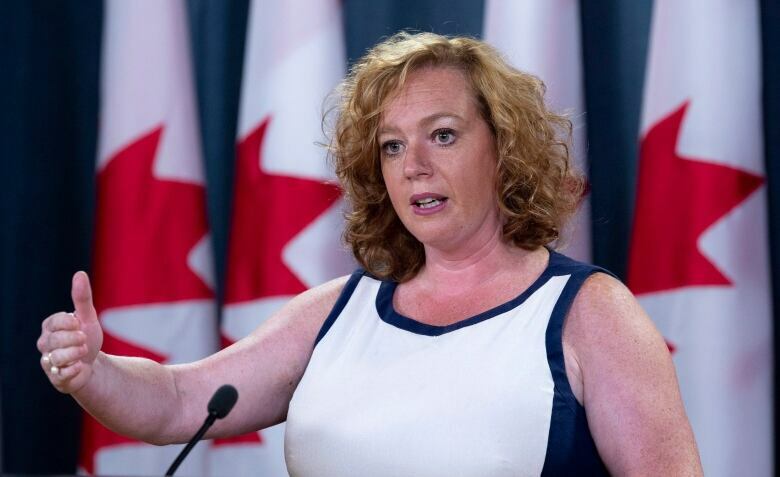 Lisa MacLeod, Ontario's minister in charge of immigration, said Monday she does not agree with Bernier's take on diversity saying she's proud to represent a multiethnic riding in Ottawa. "I am not sympathetic to Maxime Bernier, never have been," she said. MacLeod first backed Ontario MP Lisa Raitt, and then ultimately Scheer, for her party's leadership over Bernier. "Ontario is a welcoming society, it has been built by its diversity, I personally represent a riding in the nation's capital which is one of the most diverse in the province, that I believe brings in rich cultural experiences for all of us," she told reporters in Ottawa. Bernier has also butted heads with Scheer on the issue of supply management. Bernier has vocally condemned the policy that uses quotas to control the amount of some products produced by farmers to ensure national supply matches expected demand. In June, Bernier released a chapter of his new book on supply management, in which he accuses Scheer of winning the party's leadership due to the support of "fake Conservatives" who were only interested in voting against Bernier's candidacy because of his opposition to supply management in the dairy sector. He was later removed from Scheer's shadow cabinet where he had served as the party's industry critic. Bernier maintains a following among Conservative activists — paying off his leadership campaign debts in August after a series of successful email fundraising campaigns.